Police in central Pennsylvania say two mules that got out of a pasture were involved in a three-vehicle crash that killed a man and injured two people. The Intelligencer Journal/Lancaster New Era reported the accident occurred Monday morning on roadway near Willow Street, Pa. The paper says a motorist died after his vehicle struck one of the mules shortly before 6 a.m. Two other vehicles also crashed. 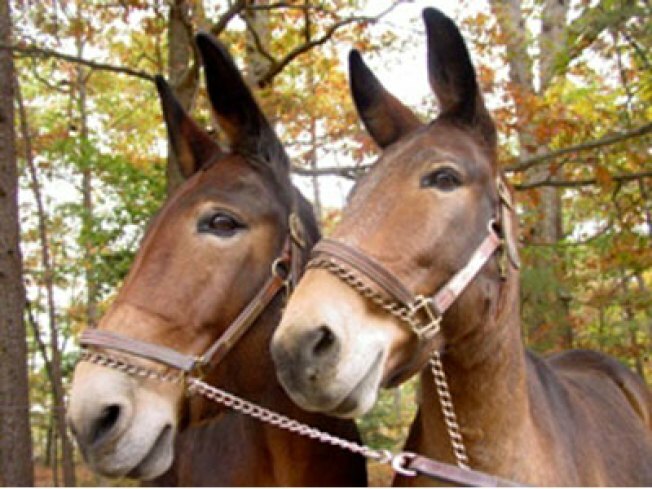 One mule died and the other was so badly injured it had to be euthanized.